A twitter user follower @ZwangaMukhuthu, shared a video on his handle where a stubborn slay queen was seen twerking to shade the wife of the owner of the car who beat her up just a week ago for seeing her husband. She shot this video and sent it to his wife just for her to see that they are still together despite the beating she gave to her. 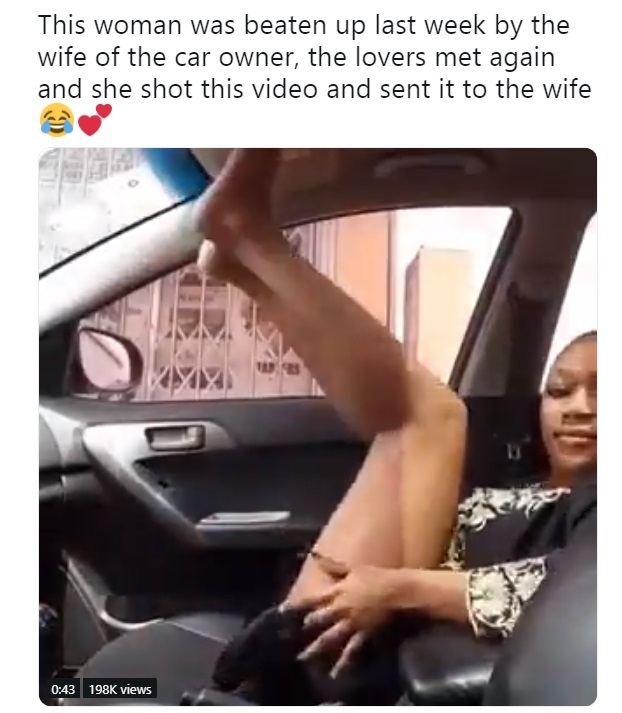 "This woman was beaten up last week by the wife of the car owner, the lovers met again and she shot this video and sent it to the wife 😂💕"